…because life is a daring adventure or no fun at all! 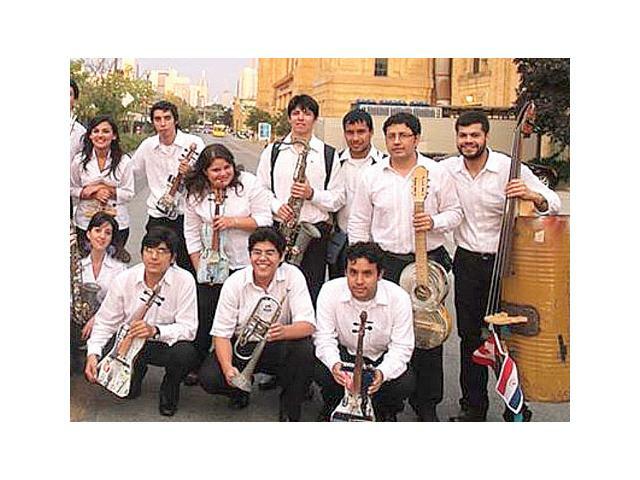 The kids behind The Recycled Orchestra/Los Reciclados Orquesta will have your eyes tearing up with both compassion and celebration at the same time. Clearly this modern day occurrence was designed by God to alter our limited and entitled consciousness in the best way. Recently, I was looking for something completely exceptional, worthy of sharing with others, and a place to offer my own resources: The Recycled Orchestra fit like a magnificent sunrise painting the entire sky. Visionary, Maestro Szaran (who wanted to serve the most impoverished children with his own exquisite talents), Orchestra Director, Favio Chavez, and Nicolas Gomez, “Cola,” a very generous landfill dwelling genius who crafted of their instruments are the courageous keystones to this life-giving activity. Please watch and be enchanted, transformed, and motivated to do something. 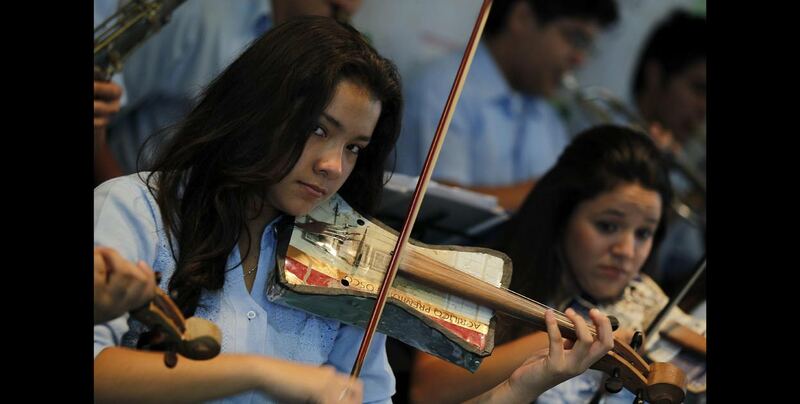 They’re teaching teens and children to build instruments. They’re working on a full symphonic orchestra. Kids, families, and their community’s lives are being transformed. They’ve created a model that will benefit other impoverished communities. The world’s largest Musical Instruments Museum, MIM in Scottsdale, AZ., http://mimmusictheater.themim.org/la-orquesta-de-instrumentos-reciclados-recycled-orchestra, set up an exhibition with a collection of recycled musical instruments after the Landfill Harmonic documentary team contacted them about the Recycled Orchestra. This entry was posted in Agains the Odds, Career, Community, Education, Entertainment, Family, Free, Kids, Lifetime Achievement, music, Relationships, Self Esteem, Spanish, Teachers, Teens, Volunteers, Women and tagged community, Culture, Faith, Favio Chavez, Free Education, Giving, Landfill, Los Reciclados Orquesta, Maestro Szaran, music, Musical Instruments Museum, Nicolas Gomez, Paraguay, Recycle, teens, The Recycled Orchestra, Transformation, Trash. Bookmark the permalink. "I love how I can see your Heart through your writing.